This is what I love to see on the beach! Lots of SEA SPONGES, PARCHMENT WORM CASES, SEA PORK, and PEN SHELLS. Why? Because it means there will be great shelling in the next few days! See that JINGLE SHELL on this PEN SHELL? This jingle has both sides and is attached to the Pen shell….. and this isn’t even the most exciting part of this whole picture. I’ve never noticed a 2 sided jingle until MurexKen showed me. Yes! You read that correctly! Clark and I met MurexKen and MurexAlice (celebrating their 33rd wedding anniversary) on the beach and he showed this jingle to me. For those of you who don’t “know” MK, he is a seashell identification wizard and educates us on the scientific gastropod and bivalve names with his comments on my posts. That may have been the first time I’ve written “gastropod” and “bivalve” in the same sentence…. huh? He’s rubbing off! Clark had to break out the big shelling backhoe and found this TUBE WORM. I thought this was a PARCHMENT WORM but I think it’s a different MARINE WORM. Clark also found this SEA CUCUMBER in his backhoe. This guy was still alive so we put him back after I snapped this photo. Lots of fun stuff off Middle Gulf Drive near Gulf Side City Park! Julianna has been collecting shells all over the world so she and Allen were happy to finally be in Sanibel. 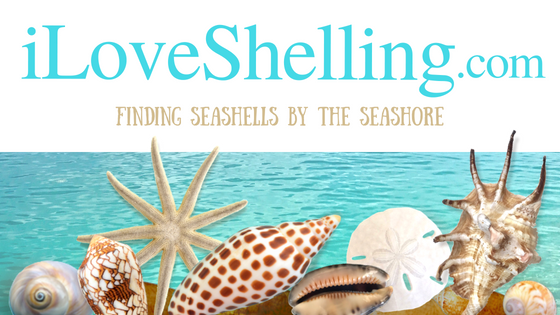 A great shelling Girls’ Trip! These gals take a girls trip the same time their husbands get together and do a guys trip at another destination. How fun for all of them! OK- I’ve got to get to bed so I can be up for the early morning low tide. I hope to have lots of goodies to show you…. or maybe just one… I’m not giving up on that JUNONIA! Ooh…can’t wait for Monday. These photos are great!!! Great shelling the next few days? Now that’s what I want to hear! The Junonia competition is on!!!! What a beautiful part of the world!…. I’m so jealous of your seashell hunting location. We are hoping to get there in January. Any advice on where to stay? Went back to Tarpon Beach, lots of live beautiful specimens. Only found a few shells until for some reason I decided to dig in a tidal pool and I found a beautiful and empty horse conch. It’s about 10inches long and 6 or 7 inches wide, all white and smooth. My husband found a smaller one, orange with lots of things growing on it, I think it will clean up real pretty. He was also finding lots of fig shells. CShells- a 10 inch horse conch! Weehoo! There were so many areas that looked like great digging spots and I wanted to dig but there were so many interesting things to look at I couldn’t stop jumping from one spot to another. I found lots of fun stuff but not a horsie like that. Congrats! We are finally on Sanibel….thought I saw someone who looked like Clark in front of Casa Ybel yesterday afternoon(saturday), but too shy to ask!! We got up early this morning for the low tide…went out at first light looking ridiculous in our shorts and jackets, barefoot!! But did well, got a couple of angel wings, alphabet cone and ‘regular’ stuff…found a HUGE true tulip yesterday, gave him a ride back to the condo, took pics and set him back out in the gulf…biggest one I’ve ever seen!! Good luck..can’t wait to see how you did!! Cheri! It was Clark! Yes, we were there. Oh, I wish you had introduced yourself because it is just so darn exciting on the beach right now. I’ve seen about 3 of those large beautiful true tulips too… all alive and I’m working on posting pictures right now. I hope to run into you this week! is Tarpon Beach the Gulfside Park? If not, where is it, please? Love the photos, Pam. The pen shells are really cool. Thanks.